11 June 2017 by . Father Tomislav: Dearest Brothers and Sisters, I wish you all a happy Feast of the Holy Trinity. Today we want to be united in a special way among us: all those of the new people and those who want to join the new people. The Solemnity of the Most Holy Trinity should be the crowning of all feasts. In our life it should be the crowning of all processes of inner growth. As we have explained to you, we are living in a time in which the Trinitarian power is acting with all its power involving the whole universe. At the same time it touches each one of us, good and bad, to lead us to the final choice. Those who decide to be recapitulated in Jesus Christ are lead towards the fullness, and the fullness is in the Trinitarian life, with the Father and the Son in the Holy Spirit. Thus, all processes that are taking place in the universe and within us aim at entering the fullness. The Most Holy Trinity is the biggest mystery of our faith, but we have explained that there are no mysteries in God. So, why are we speaking about the mystery of the Most Holy Trinity? Because God is immensely greater than us; because He is in a dimension of pure Spirit whereas we are creatures. Besides being creatures, we are the men of the Earth who have committed sin, the grave original sin, and we fell and were immersed in matter which prevents us from seeing and from entering the full light. It is not God who hides, for God is the pure love that gives Himself to every creature. It is man who closes himself up before God; man has continuously been running away from God after original sin; man knows how to hide from the face of God. Therefore, also this solemnity had to overcome many difficulties until it received a liturgical form in the path of the Church, and it was even prohibited in the universal Catholic Church; it changed several times. In the end this liturgical form is not really satisfying because it remains a bit isolated. Before the Council it used to belong to the Eighth of Pentecost, and it used to be the crowning of the Easter period. All these elements show us how difficult it is to hold on to this solemnity, or rather, that we are moving away from this solemnity. It is easier to contemplate an icon of Jesus Christ than to contemplate God the Father. Besides, you see that the Church has not established a feast for God the Father. It is right to celebrate the Holy Spirit; it is right to celebrate Jesus Christ; it is right to celebrate the Most Holy Trinity, but it is not right to leave out the Father. The problem lies within us because we are unable to give God the Father, who is in the dimension of pure spirit, a shape in our imagination, in our superficial religiosity that is often egocentric and egoist; He cannot be placed in our rational categories. All this urges us to reflect and to clarify our path. As I said at the beginning, we find ourselves in a time in which we are called to enter the fullness and God is leading the whole universe to the fullness. Naturally, He respects the freedom of every man and every creature to make their choice. As I said, God does not hide. The sacred history, the story of the revelation, follows a red thread in which God with difficulty – put difficulty in quotes – reached out to man, who was closed up in himself, and led him little by little to the coming of Jesus Christ on Earth. And with the coming of Jesus Christ on Earth God the Father was revealed and the Christians received the Holy Spirit. It seems that very soon after the revelation was fulfilled the first Christian community became static, but Jesus Christ has sent the Holy Spirit to bring us the whole of the truth. After 2000 years it seems clear to us that the mentality of that time could not reach the fullness and open up to the whole universe. We also experience daily our difficulties to open up to new realities. God is the infinite novelty which is also an eternal and inscrutable novelty; thus we have to review our attitude. 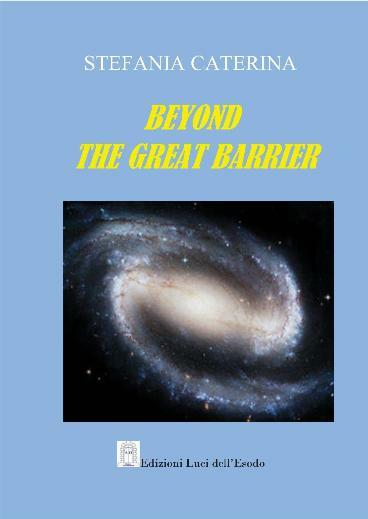 We have pointed to and published in the book “The Universe and Its Inhabitants” that all the structures that prevent a direct relationship between the believer and God must be left behind because we are asked to the get to the full knowledge and immediate contemplation of God. The man of the Earth, the Christian too, is tempted to lock the infinite in an idea, in a religious formula, in a prayer or even the fasting. In this way we find the Christian ideology, the western culture, the habits and traditions; yet, there is no direct relationship with God. If the source within us is not active, not open, we cannot live. God reveals Himself continuously. We have received everything through Jesus Christ. It is an open way but it has not been accomplished. It is not done and each one of us and the entire humanity must walk the path beginning from within to make the divine creativity blossom, but also the redemptive responsibility because we are called to be co-redeemers, all of us are. Also the gift to sanctify must blossom, for the Holy Spirit sanctifies through us and as apostles and priests and all us Christians are called to sanctify. This dynamic of the Most Holy Trinity must emerge in each one of us and among us so that the universe may be governed by Jesus Christ. As we know, it is the will of God that the universe should be governed in collaboration with the whole of humanity. This is the greatness of the mission of man and the angels who work together. At the same time it is a great responsibility that we have to face, and we have to take the mission that has been entrusted to us. The Most Holy Trinity is made of Three Persons in one nature. If in our spirituality we take on a little bit of Jesus from Nazareth, a little bit of His miracles, a little of His glory, a little of the Holy Spirit, that is, some impulses, some charismas; if we want to ask the Father to give us all we wish, we cannot become righteous persons. There is a principle in the Most Holy Trinity: unity in diversity; everything takes place both in unity and in diversity. Diversity is wholly united and unity is all diversified. When we told you that God wants us to build nucleuses, cells, we meant no human organisations. The Three divine Persons are a nucleus, so to say, in which all is united; in the unity of the Three Persons no person is an individual and detached from the other. There is no individualism; there is a common creativity in which all act together. Thus, from this point of view we can understand why Jesus chose a group, a nucleus of apostles. In this time, in an extraordinary way, He has chosen the Central Nucleus; connected to the Central Nucleus are the angels and the men faithful to God from the beginning who are all entrusted to Mary Most Holy and St. Joseph so that they may accomplish their motherhood and fatherhood in God. This is the supreme law; the Law of love. Thus, what does it mean to live in a nucleus, in a cell? It means to incarnate the Law of the Most Holy Trinity, the supreme Law of love, to transmit life. We cannot enter the Kingdom of God as individualists but rather when we are in communion with others. We enter the fullness and each one enters his own fullness; however, one’s own fullness expresses itself by giving oneself to others, by transmitting life to others. As you look at the forth chapter of the letter to the Ephesians, you can understand that a Christian reaches maturity when He is in communion with the brothers and sisters around him in God. Speaking about communion we do not mean being in a structure, in a convent, in the Catholic or Orthodox Church, but communicating each other the life of God in the Trinitarian life. You see this is the leap in quality of these times which has been sensed by certain prophesies, even pagan prophesies, that were not understood. We are designed to elevate ourselves to a full life in the Most Holy Trinity. If the Church recognises her identity in the Eucharist, in the Trinity – it is said that the Church is the place of the presence of the Trinity, of the manifestation of the Trinity – we have to start living it and putting it into practice. I said in the beginning that man runs away from the face of God and remains closed in in his individualism, yet, sometimes opening up to create a kind of individualism shared by two or three people or a party, but this is no communion in God. To enter the life of the Most Holy Trinity it will be the Holy Spirit to guide us not our brain. It is the Holy Spirit that guides us towards Jesus Christ and making us know Jesus Christ in fullness. However, this is the place where man runs away. When in the Garden of Olives Jesus said: “My Father, if it is possible, may this cup be taken from me. Yet not as I will, but as you will.“ There He sweated blood, but He carried on faithfully up to the Cross and until the humiliating death; there He cleared away all that is between the corrupt human nature and God through THE faithfulness that destroys death. This is the passage we all have to go through; yet, not to seek suffering but to be rooted in God. We must not remain closed in pleasant spiritual forms which, unfortunately, lead us to a kind of esotericism and narcissism. A righteous man is born from this faithfulness in which, by the grace of God that comes through Jesus Christ, he allows no barrier to persist between him and God. A nucleus, a Christian community that keeps no barriers between the members and the head, Jesus Christ, will experience the presence of the One and Triune God. It is the One and Triune God who speaks to our inmost place; He is already there, but He will reveal Himself in the degree of our free participation. Therefore, it is very important to understand that we have to get away from our individualism because it is an illness. Thus, I do not want you to study treatises of theology, treatises on the Most Holy Trinity, but to immerse yourselves in the Holy Spirit; allow the Holy Spirit to guide you, and not the men, the wise men of this world. Allow Him to guide you directly to Jesus Christ in the way He guided Mary in the moment of the conception of Jesus. When you sweat in the Garden of Gethsemane, let Him lead you to the mystical union with Christ so that you may remain faithful to the Father, and the mystery of the Most Holy Trinity will reveal itself within your heart, for the Spirit reveals it through Jesus Christ. Your relationship with the Father will be a relationship of trust between the children and the Father of whom we all proclaim that He is saint, good and almighty. Therefore, I invite you to proceed in this direction. We will dedicate the month of August to God the Father and celebrate on 7th August the feast of God the Father in our houses. We do not mean to introduce a new feast but we intend to walk seriously the path towards the fullness; we do not want to run away, hide behind our ideas, affections, personal interests, but to be ready to reach the fullness which is in the life of the Most Holy Trinity. 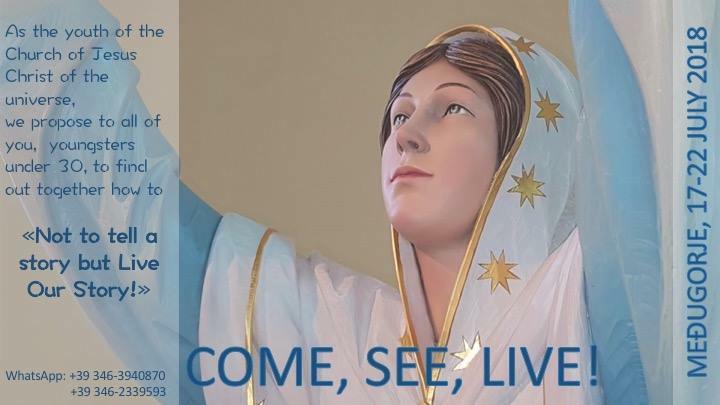 On this path Mary Most Holy, who is so close to us and immaculate, will accompany us. St. Joseph will accompany us and all the extraordinary and ordinary instruments. And we will pray for you and we ask you to pray for us. We bless you in the name of the Father, of the Son and of the Holy Spirit.